The folks over at Mitera Collection where I can sometimes be found blogging in their postpartum life series (see here), asked me if they could interview me about my journey from NYC worker bee to becoming a Mother/Childbirth Educator/Lactation Consultant/Ice Cream taste tester. Ok. The last one is made-up, but how cool would that be?? For most of us, pregnancy, child birth and becoming a parent are truly life changing experiences. For some, it is also a career altering experience. After the birth of her first son, Hilary Baxendale, a Mitera blog contributing writer (have read this funniest post by her in our My Postpartum Life series?) 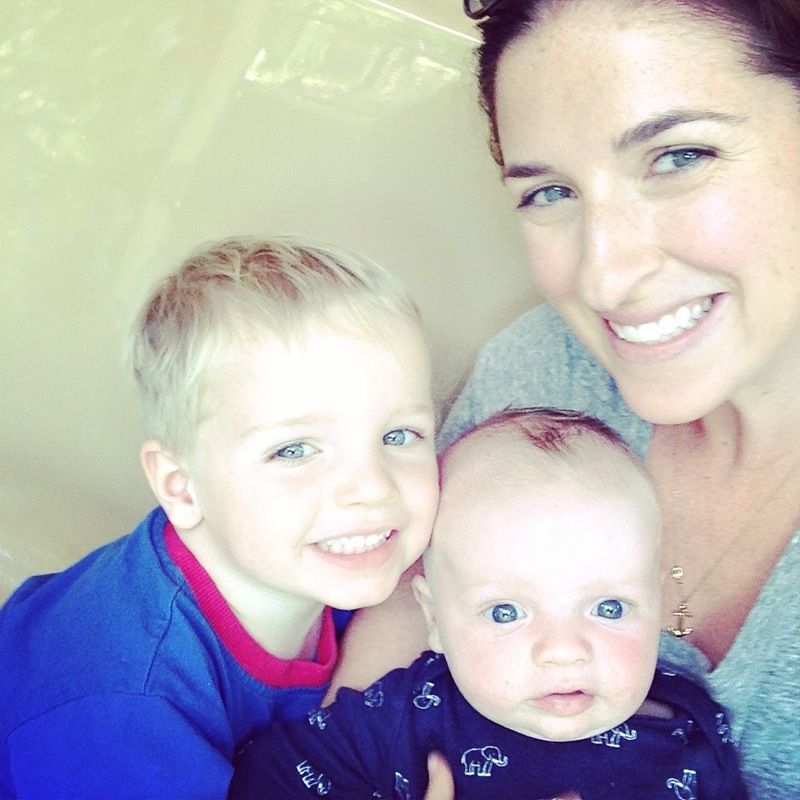 left the fashion industry and become a Birth Educator and a Lactation Counselor. On the first day of her training to become a Birth Educator, she thought to herself “Do I belong here? I’m not the “yogi/crunchy/earth mama” that I pictured when I thought of a childbirth educator.” But she knew that “…all kinds of New Yorkers are giving birth everyday” and she hopes her clients can relate to her and her teaching style. Here is her inspirational story of ‘working motherhood journey’. 1.Who is in your family? I am Hilary Baxendale and am happily married to Gareth, Senior Account Executive (men’s) for VINCE. We have two boys Henry, 3 Archie, 12 months. I am 33 and I work as a Childbirth Educator and Certified Lactation Counselor. I also lead a New Mom Discussion Group and teach Intro to Breastfeeding and Newborn Care. My family recently moved from Park Slope, Brooklyn to Hastings-on-Hudson in Westchester. The suburbs! Gulp. I’m very passionate about my family obviously, but I’m passionate about other people’s families too, and giving them the best start possible. The way our country is set up, there is little emphasis on helping couples make the transition into parenthood (short maternity leaves, hardly any paternal leave, no follow-up care, no home visits, etc). I love working with couples and guiding them into parenthood in my classes and support groups, but also giving them permission to make mistakes. Because trust me, NONE of us knows exactly what we are doing! My other non-motherhood and non-career-related interests are… well, I used to read lots of books. Remember those moms? Now I read facebook posts and the occasional blog. Ha! I also love to bake. My three year old is all about the process (mixing, pouring, measuring, counting) and I’m all about the eating. So it works out pretty well. 3. Where did you grow up and how did you end up in New York? I grew up in Rhode Island, went to college in Boston and moved to NYC right out of school. I found a tiny studio on the UES, one of those mini fridge, barely room for a full size bed deals, and loved it! I met my husband (who had recently moved to NYC from England) about a year after getting to the city and knew from our first date that he was the one. He was, and still is, the most authentic, honest, hard working and ridiculously handsome man I’d ever met. And the accent didn’t hurt either! We were married in 2009 and decided to start a family soon after that. Our first son Henry was born 2 days after Gareth’s 30th birthday in 2011 and Archie came along soon after. I always joke that being new parents is a young mans game (even though I see parents of all ages doing an amazing job everyday!). We are in the thick of things right now with two young boys, but I just try and remember the mantra “The days are long, but the years are short”. I know its true, but damn those days can be loooong. 4. 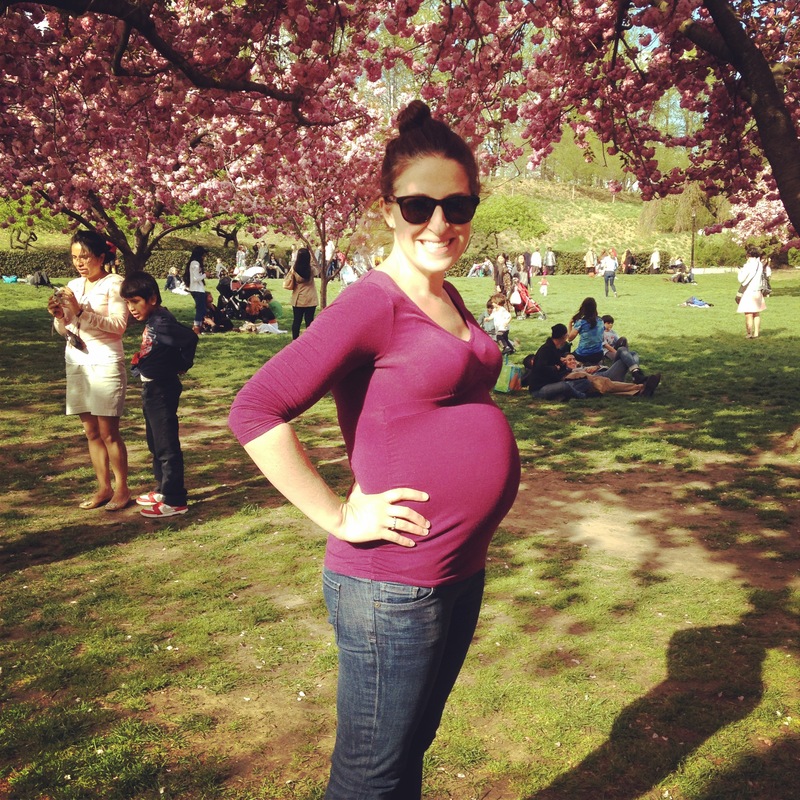 Tell us about your pregnancy experience in New York as a busy working city woman. Being pregnant in New York was always a bit of an adventure. In the beginning when you are nauseous and need a seat on the subway the most, no one knows! But I did find that someone was always willing to help me drag my stroller and toddler up the stairs when I was pregnant with my second. New Yorkers are much more helpful than we get credit for. Once I was out of that awkward “I just had a big lunch” phase and actually looked pregnant, I enjoyed showing my bump off! I wore a lot of my pre-pregnancy clothes in creative ways (hair elastic in the button holes, layers, etc) and filled in with maternity pieces where I had to. I would have loved to have something like Mitera that didn’t look like a “maternity dress” and worked for nursing too. Maternity clothes are getting so much better, but nursing tops? Awful. Most moms I know need to get half naked to pump at work, so Mitera is really filling a need here. 5. Can you share your birth story/stories? With my first pregnancy I read a ton of birth books, watched “the business of being born” and thought “I got this”. I made the mistake of not asking my practitioner enough about how birth is often managed in a big NYC hospital. I had a typical experience; induction at 41 weeks pregnant, medically managed labor, difficult delivery and out the door two days later. I had a healthy baby and a vaginal birth, but still felt disappointed, and knew the process could have been so much better. That’s when I sort of got obsessed with birth and dove into becoming a childbirth educator. My first day of training I thought, do I belong here? I’m not the “yogi/crunchy/earth mama” that I pictured when I thought of a childbirth educator. But all kinds of New Yorkers are giving birth everyday and I hope my clients can relate to me and my teaching style. 6. 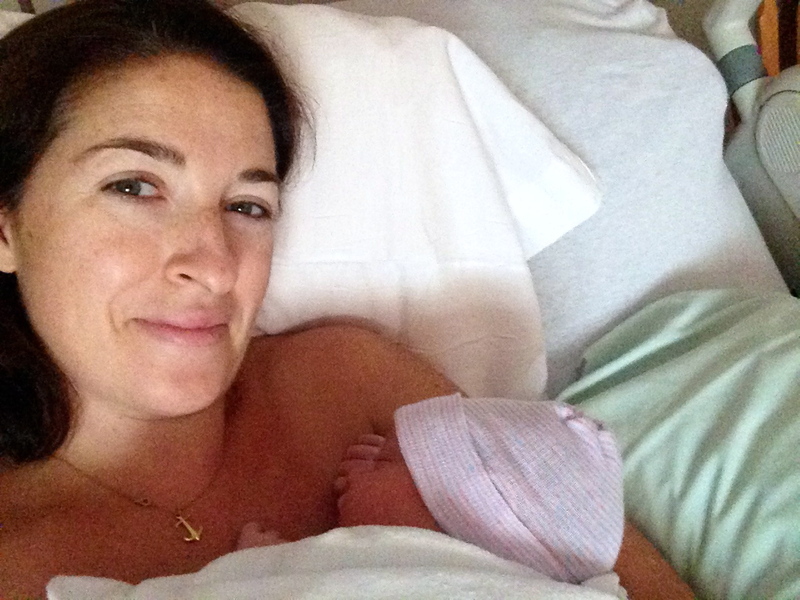 How was your postpartum life after you brought your baby home? I had worked with children for years before I got pregnant so I think some things came easy to me. But no matter how much time you have spent with other people’s newborns, sleep depravation and breastfeeding are a whole new ball game! Breastfeeding especially was such a profound experience for me. I had big babies, 8lbs 6oz and 9lbs 12oz, so I felt really proud and amazed that my body was creating this perfect food that was all they needed to keep them healthy and give them their adorable rolls and chubby cheeks. But they ate a lot! It felt like a full-time job in the beginning, but I got really good at breastfeeding in the sling or ergo so then off we went into the world! I always tell my moms in my classes to get out of the house as soon as they feel ready. Going from a working professional to a new mom that may not have any family nearby can be very isolating. But that’s the good thing about New York, there is always a café nearby with a stroller or two in it. Meeting “mom friends” is a bit like dating, but ask for her number! Make a plan to meet for a coffee (or a glass of wine! ), it’s so important to have someone to talk to that is going through the same things as you. Trust me, your childless co-worker doesn’t care how many times your baby was up last night or what color her poops is. 6. Tell me more about your life with your baby! The majority of the classes I teach are in the evenings and on weekends (because the pregnant couples are still working). So I’m lucky in that I get to be there with my kids during the day and go on the play dates and do all the school drop-offs. But then as the day is winding down I pass off to my Husband or a babysitter and head off to work (just as the couch is calling!). If I didn’t really love what I do it would be impossible. But teaching those classes is really important work to me and Citybirths, where I teach, makes it easy. I work with such amazing women who all have the same goal of giving couples the knowledge to start out as parents with an empowered and positive experience. What’s better than that?! It’s also important for to me to put on the heels and the shirt that doesn’t have food on it and hell, maybe even eyeliner, and remember that I’m more than just someone’s mom. 8. Your career – how did you come to do what you do today? I came to my work as a Birth Educator from a negative hospital experience and my work as a CLC from a positive breastfeeding experience. When you find a passion for something (either negative or positive) I find it propels you towards something that won’t feel like work. I love educating expecting couples because they are so eager to learn everything they can in the few weeks they have left before their baby arrives. But I’d love in the future to do more education on birth and best hospital practices to young women who aren’t even thinking about having a baby yet, maybe in a college setting. The state of maternity care in the US is pretty shocking (c-section rates, unnecessary inductions, separating mom/baby, maternal mortality stats, etc.) compared to other developed countries and if we can make this a health issue that is discussed far before conception it would be amazing. Just think of the hours women spend planning their wedding, and then how many hours they spend researching their birth. A seven-hour class? Maybe a book or two? I want to see women getting passionate about it much earlier. 9. Who are your clients? What do you do in your profession? My clients are mostly professional New Yorkers. They are educated and are what some in other parts of the country might consider “older” (mid thirties to mid forties average). They have often waited to establish themselves in their relationships and professions before starting a family, but are now so excited and eager to know every detail about becoming parents. I really see a lot of interest from the partners too. Birth and taking care of their newborn is something they are approaching together which is awesome. 10. What are the craziest questions you had from your clients/students? What are pregnant moms most concerned/worried about? What are they excited about? First time moms are very interested in what labor will feel like and how they will know when they are actually in labor. This is the most natural question because we are always most anxious about the unknown! They are also worried about knowing when to leave for the hospital and getting there “in time”. There are always those outlier stories where the baby is born in a cab, but I try and stress that for first time moms there is usually plenty of time at the hospital, even if they get there in active labor as I suggest. Most of my clients are just excited so about meeting their baby! 11. Do moms struggle with breastfeeding? What have your experiences been as a lactation consultant? What has been the most difficult part and what has been the most rewarding? The benefits of breastfeeding, both for babies and moms, is on the minds of most first time parents. They want to breastfeed and are eager to get things off to a good start. I always say breastfeeding is beneficial and attainable, but not always easy. Moms may have pictured this beautiful, natural bonding experience (and it can be! ), but when the picture in their mind and reality don’t match up they often don’t know where to turn. OBs and Pediatricians are rarely trained in lactation so I can’t stress enough how important it is to have the number of a Lactation Counselor on hand before you give birth. As a Certified Lactation Counselor I visit new moms in their home, asses latch, position and answer questions. But most of all I give reassurance and support. Inviting a stranger into your home in the first few days or weeks after bringing a baby home can be nerve-wracking, but I promise you I expect to find moms in their robe and dirty dishes in the sink! There is nothing more rewarding than watching a new mom get a great latch for the first time. Their shoulders and face relax and they can really start enjoying just staring at this amazing person they made while they nurse. Thank you so much, Hilary for sharing your life with us. We feel very inspired! You can find more about Hilary in her bio below. Next Post Bringing home Baby? Now what?